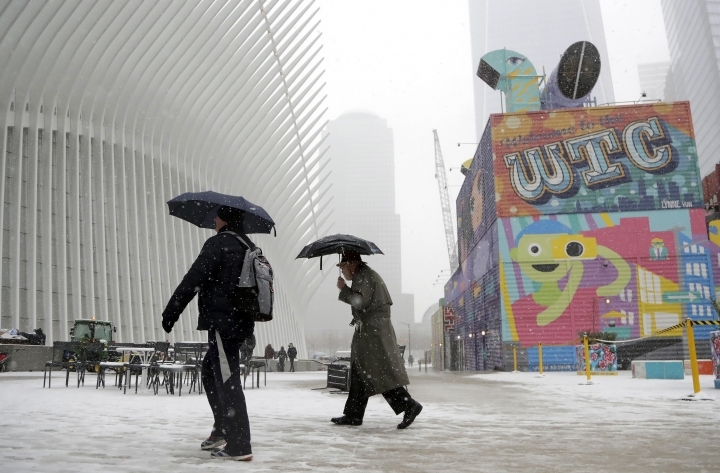 NEW YORK — A sprawling storm dumped several inches of snow from the Midwest to the East Coast and deluged the South with rain Wednesday as it closed schools, snarled air travel and littered highways with crashes. 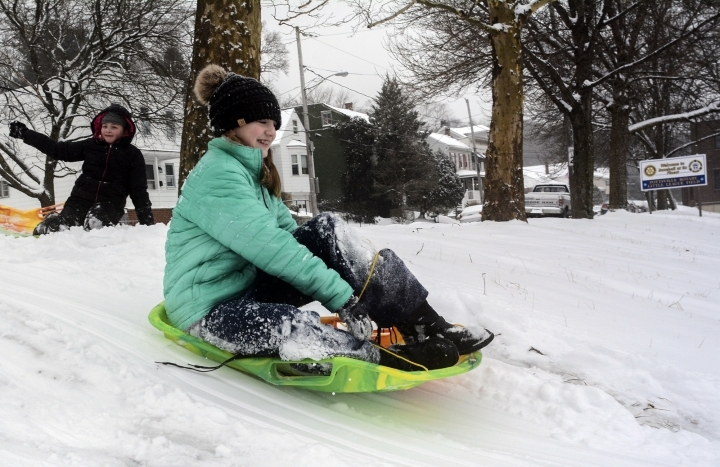 Only a few inches of snow fell along the Interstate 95 corridor from New York to Washington, but it was enough to put a scare into an area that has seen little of it this winter. 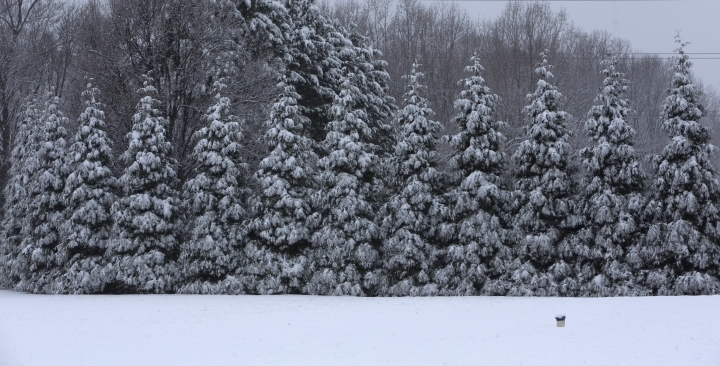 Schools and government offices around the region closed early. 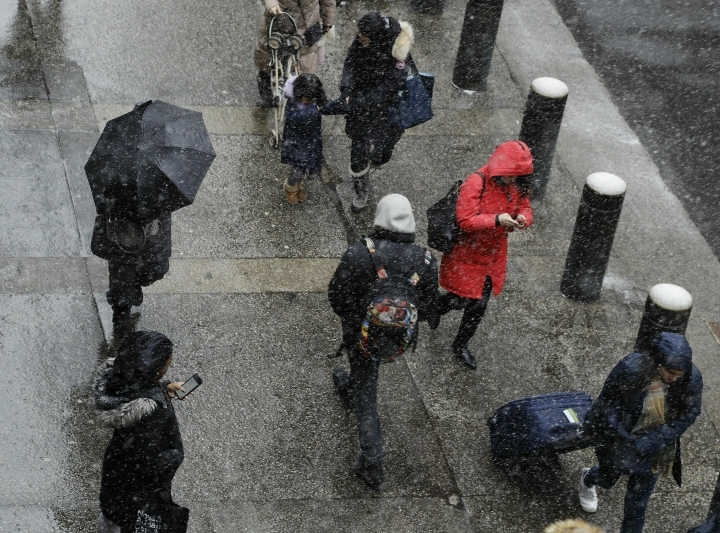 New Jersey's governor declared a state of emergency, even though only 4 inches (10 centimeters) of snow was expected before turning to rain Wednesday night. State and local government offices in Delaware closed early, and so did local offices in Philadelphia. But the evening commute started out on a good note. 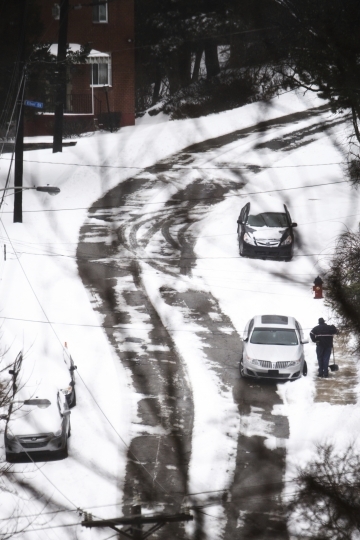 A spokesperson for AAA Mid-Atlantic had said earlier in the afternoon it appeared motorists heeded warnings to stay off roads. Nationwide, more than 2,200 flights were canceled and more than 5,500 were delayed, according to the flight-tracking website FlightAware. 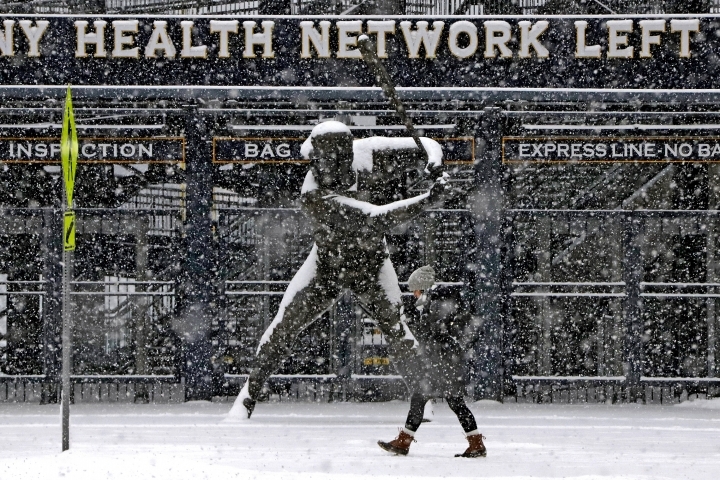 The mid-Atlantic region was especially hard hit as airlines pulled flights ahead of the storm. Washington's Reagan National Airport led the pack. "Travel anymore is not easy, so you expect the unexpected," said Stacy Flye, trying to get home to Florida. "And you know, we knew the weather was going to be bad, but sometimes you just have to take your chances." Amtrak made changes to its Keystone service between New York and Harrisburg, Pennsylvania. Multiple crashes, including a jackknifed tractor-trailer, shut down westbound lanes of the Pennsylvania Turnpike in Lancaster County. 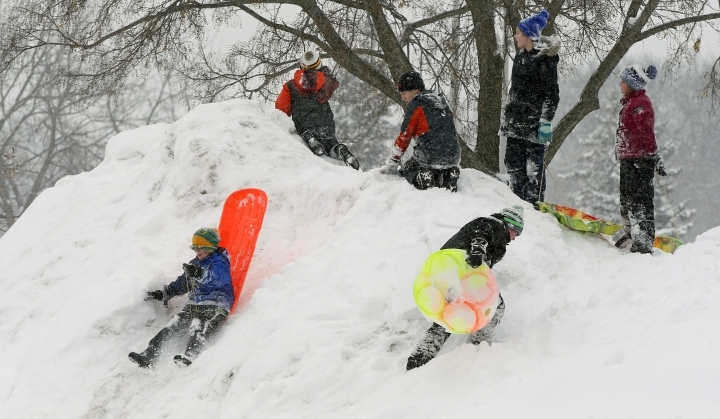 Farther west, snow forced Minneapolis and St. Paul schools and scores of other districts in Minnesota and Wisconsin to cancel classes as up to 10 inches of snow fell on the region. 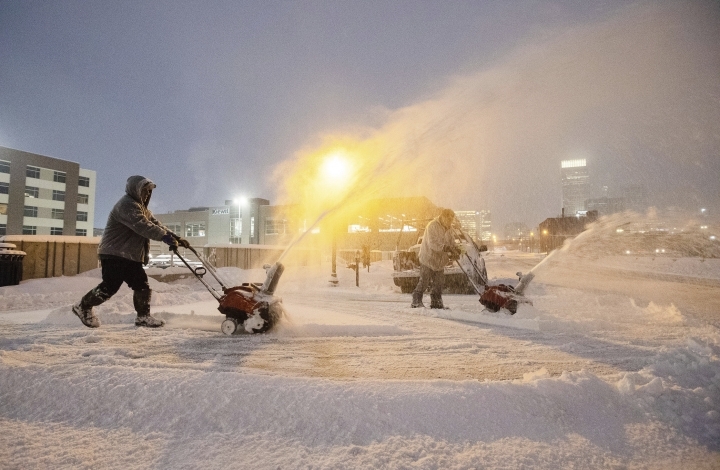 Schools, businesses and government offices in Kansas closed or announced plans to start late. 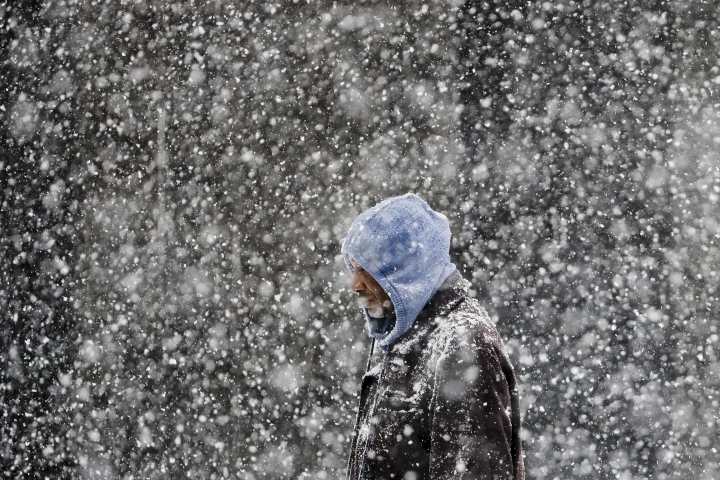 Several school districts closed in Missouri, where officials said many roads across the northern half of the state were partially or completely snow covered. 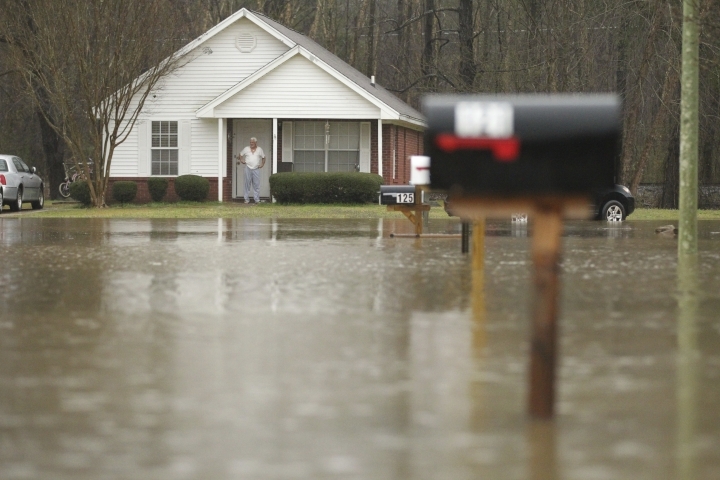 The storm produced heavy rain and flash floods in parts of the Deep South. Water covered roads in parts of eastern Mississippi and northern Alabama. 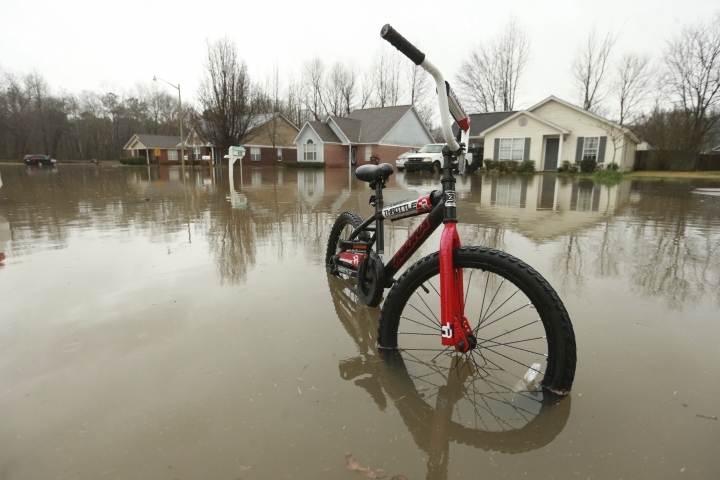 Creeks swelled in Tennessee, and about 2 inches (5 centimeters) of rain fell Tuesday and Wednesday at Nashville International Airport. 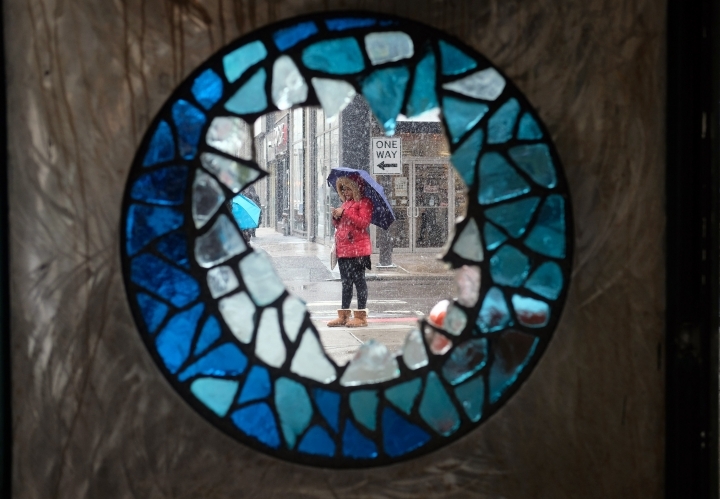 As much as 8 inches (20 centimeters) of rain is expected through Saturday.